What lives churches have led. The intimate and atmospheric St Mary's occupies what may be the oldest church site in Sandwich, where a seventh-century convent was founded. Whilst nothing of the convent survives, there remain substantial parts of a large Norman church, despite the town having been sacked by the French in the thirteenth and fifteenth centuries, an earthquake in the sixteenth and the collapse of the tower in the seventeenth! Having survived centuries, the church was still not safe. Recent research at the SPAB archives, details St Mary's fight in the 20th century. In 23rd April 1953, R. M. Bourne wrote to the East Kent Mercury: " St Mary’s should be demolished and the stones used to rebuild the aisle of St Peter’s". In June, SPAB Secretary, Monica Dance summarised, ‘finding a use for the church overhangs achieving the required funds’. "Historic Churches Preservation Trust delayed in making an offer as church not included in Diocesan Advisory Committee’s recommendations as being worthy". "Road users would welcome demolition to remove dangerous bottleneck in the road". "£8,000 needed to repair the church. The local appeal produces only £704". Shortly after this, Alec Clifton-Taylor, wrote to The Times, claiming St Mary’s is an ‘unwanted church’. The ‘small town already has two other churches in use’. He describes the structure as decrepit, with ‘scarcely any claim to beauty’. John Betjeman wrote a retort, criticising Alec Clifton-Taylor’s academic attitude in the Times’s letter. Finally, on 27th January 1956, in The Church of England newspaper, Ivor Bulmer Thomas of the Churches Preservation Trust, wrote that the church should not be refused help on the premise that a church not required in one generation may be required for the next. In May 1956, Ivor Bulmer Thomas wrote to Monica Dance of SPAB, indicating that £8,500 was needed to restore the church to a condition suitable for worship and £4,500 was needed for immediate repairs. In August 1956, despite being "the least desirable of the three Sandwich churches", hope seemed in sight for St Mary’s, with Bulmer-Thomas’s own mother-in-law contributing £3,000 and the SPAB contributing £10 to the appeal. It would be a further twenty-nine years before St Mary’s was safe in the care of the Redundant Churches Fund. 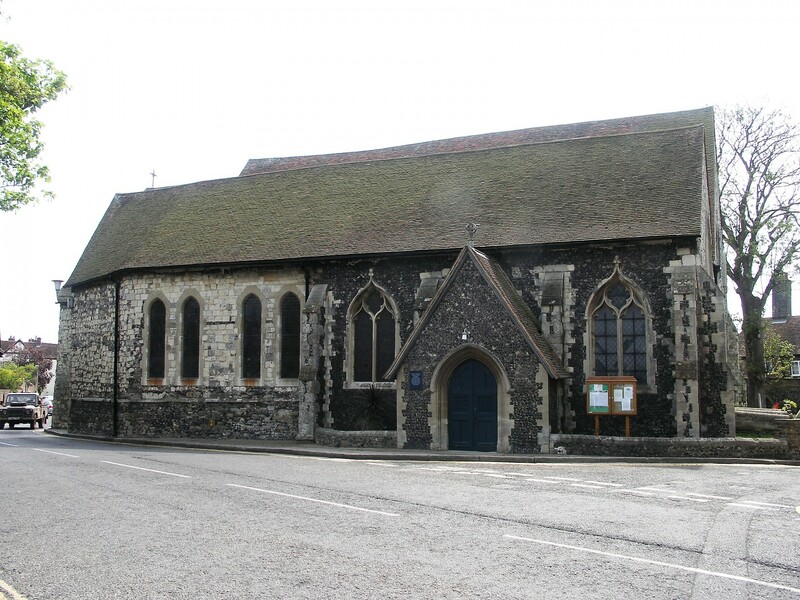 Today, St Mary's is a popular arts centre and is looked after by a devoted Friends group. Together we are working to shape the future of this important historic building in the heart of Sandwich.